Many people are unsure about surveying, so we have answered some frequently asked questions to help you make a decision and put your mind at ease. Selling, buying and investing in property can be rather confusing and intimidating. A land or real estate purchase can be difficult as they are two of the most expensive things that money can buy. So we are here to make sure that you make the right decision and get the most out of your investment. There are many common misconceptions and mistakes that are made during new investments, so we are here to help you in anyway that we can. New properties are prone to having risks - They are known to be susceptible to drying out, taking on water, shifting and structural cracking. Getting a survey on your property can save you thousands of pounds on future repair bills. Defects often worsen over time - Defects such as wood rot, structural movement and a variety of damps, develop and worsen over time. A survey helps catch these defects at an earlier time, making the repair bills cheaper, the problems easier to fix and the defects less likely to develop. Being oblivious to these issues could cost you thousands of pounds in future repair bills. What exactly can we help with? Our services include surveys such as the RICS Building Surveys, Structural Surveys, RICS HomeBuyer Reports and House Purchase Surveys. We also offer expert advice on properties in Basingstoke and throughout Hampshire. Our professional surveying team has a broad knowledge of the types of services and advice that suits your budget, property and your local area of Basingstoke. Our experience ranges from the private to the public sectors, from large commercial buildings to small terraced homes and anything else in between. Our professional surveyors are available to discuss your individualised property requirements. Your local Chartered Building Surveyor of Rugby is qualified to carry out a range of surveys. From Full Structural Surveys to Schedule of Condition Reports, or even just Verbal Acquisition Advice, Right Surveyors Basingstoke are here to help. Who do I speak to during the process? When calling Right Surveyors Basingstoke, you will be put through to our Chartered Surveyor’s office and whether you are in need of a Single Fault Assessment or a full structural survey, we will be able to help you with your requirements and give any advice that is needed. We know how stressful it can be purchasing a property and we strive to give you the advice and surveying services that you need to make you look forward to your new purchase. Being able to speak to a professional surveyor who is familiar with the Basingstoke area is a big help. He can give you an initial idea about the main issues that may concern your property and this takes a lot of the stress away. Our surveyors provide you with a detailed report on the results of your survey and will then give advice on the next steps that you need to take to make your new property a home. A lot of surveyors only offer a basic structural survey and the usual RICS HomeBuyers Report. But at Right Surveyors Basingstoke, we take pride in the wide variety of surveys that we offer to ensure that each individual’s needs and requirements are met. If you have a tight budget, then we would recommend the RICS HomeBuyers Survey which is not overly detailed but gives you an overlook of the defects in your property. Or Verbal Acquisition Advice can be very helpful at a low expense, it gives you and your surveyor the opportunity to go through the defects of your building together- without the cost of a full written report. If you need a survey on a complex or old property, then our professionals would recommend a Structural Survey, House Purchase Survey or a Building Survey. These are the more in-depth surveys. We offer even more than these surveys so, whatever you require, it is always best to contact us for any advice or queries. Our surveyors, like many others, charge for their time; so we do not have a standard fee scale. Set prices mean time restrictions, which would prevent us from providing the thorough service we take pride in. Our aim at Right Surveyors Basingstoke is to deliver the best and most cost-effective service. It’s simple, we provide you with full detailed and quality surveys, and you are charged for the surveyor’s time and use of equipment - no more, no less. The final price is estimated before the survey is carried out. It is calculated on how long the surveyor thinks the survey will take, depending on the size of your property and the survey that you have chosen. If you have anymore queries or need any help at all, please give us a call, drop us an email or use the chat system on the bottom right of your screen. Details are in the link below. Similar to a schedule of condition, except this report focuses on the condition and defects that are present at the end of a lease.  Copyright © 2018 Right Surveyors Ltd | Part of the www.propertysurveying.co.uk network.